Debra Magpie Earling’s novel, “Perma Red,” tells the story of Louise White Elk, a strong-willed Salish woman navigating love and heritage on the Flathead Reservation. The story is built around the landscape of the Mission Valley and the true history of Earling’s family. “The story resonates and is long lasting because it’s real,” Earling said. The Great Montana Read project allowed members of the public to vote “Perma Red” as the state’s Most-Beloved Book. Ray Ekness is the director of the University of Montana’s Broadcast Media Center, which helped execute the contest. Ekness said the contest brought a local spirit to the format of PBS’s Great American Read. According to Ekness, seven literary experts from Montana each submitted a list of the 20 books they believe are most important to the state of Montana. Voting opened to the public online in October and 2,500 individuals voted for their favorite by the end of the year. “Perma Red” won by receiving the most votes from the public. Earling grew up in Spokane, hundreds of miles from the setting of her novel, but her mother filled her childhood with stories of family history on the reservation. Even as a child, Earling was fascinated by stories of her late Aunt Louise, who would become the central character in the book. Earling is a descendant of Chief Charlo. Her mother grew up on the reservation. 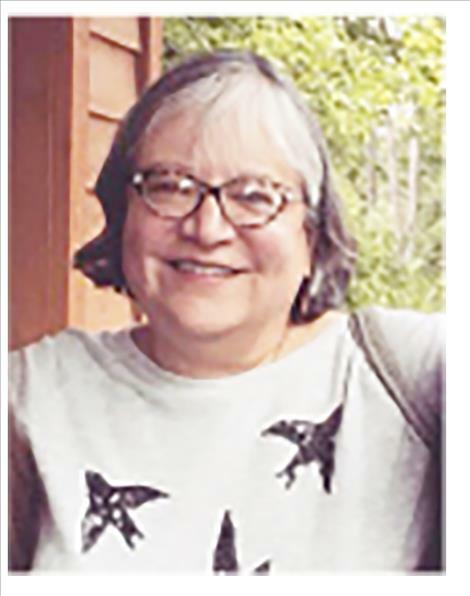 In 1976, Earling got a job in Dixon, near the home of her mother’s family, working as the first tribal court advocate for the Confederated Salish and Kootenai Tribes. She drove the long commute to Dixon each day, seeing few other cars. The loneliness she felt during that part of her life made her turn her attention to the land. Throughout the story, characters travel the reservation by foot, in cars and by hitching rides. Readers see the stark wildness of Hot Springs, Arlee, Dixon and Perma just as the characters did. Earling also learned about her family’s history while she worked in Dixon. The book’s action is rooted in stories Earling’s mother told her as a child and other stories she was told about her people. In the story, Louise, like Earling’s Aunt Louise, is a beautiful and free-spirited woman, called Perma Red for her red hair and her reputation. Louise seeks freedom as three very different men pursue her romantically. The story focuses on her evolution as a character despite the forces that attempt to control her, including romantic relationships, family ties, racism, sexism and the law. The national attention being devoted to the issue of missing and murdered indigenous women helped draw attention to the book, which is a major subject in the plot. “I think even five years ago this never would have been chosen as the most beloved book,” Earling said. She said a new willingness to examine the factors that lead to abuse and murder of indigenous women has allowed the novel to gain a second wave of support. However, “Perma Red” is not about being a victim or having a lack of power. Instead, it celebrates the strength of a woman determined to live life on her own terms at almost any cost. “It’s always been the story of colonialism and the absence of Native people. I think at long last the tide is changing,” she said. Native actors and filmmakers are adapting the book into a television series. Earling said it feels right to have another generation of artists work to bring her family’s story to life in a new way. Earling received a Master’s of Fine Arts from Cornell University in New York State in 1992. She published “Perma Red” in 2002. She has also published the book “The Lost Journals of Sacajewea.” Today, Earling works as a professor and director at the University of Montana’s creative writing program. She is working on a novel about the Native American boarding school experience. Despite its popularity “Perma Red” has been out of print since 2009. At the Book Exchange, a used bookstore in Missoula, an employee said the waiting list for a used copy is long. However, potential readers will soon be able to get a new book. In response to increased interest in the book after being recognized by the Great Montana Read, Earling’s editor has decided to reprint the book.